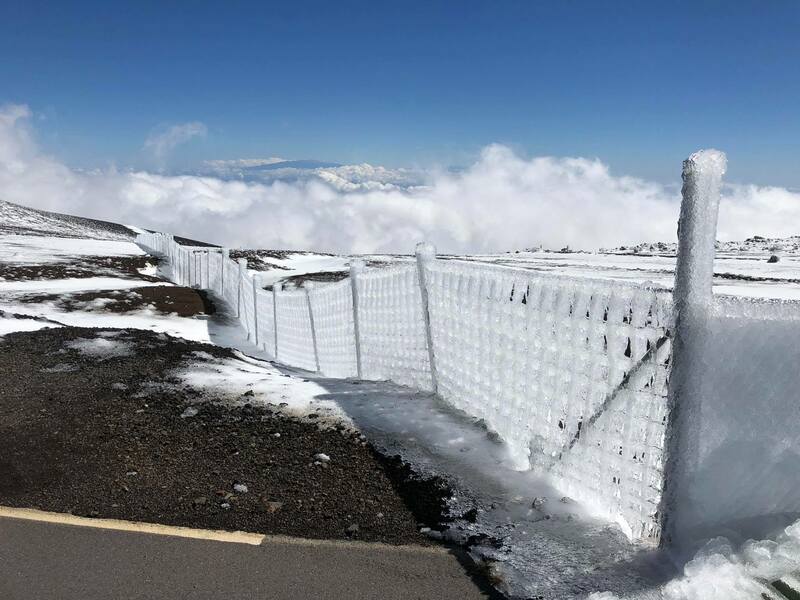 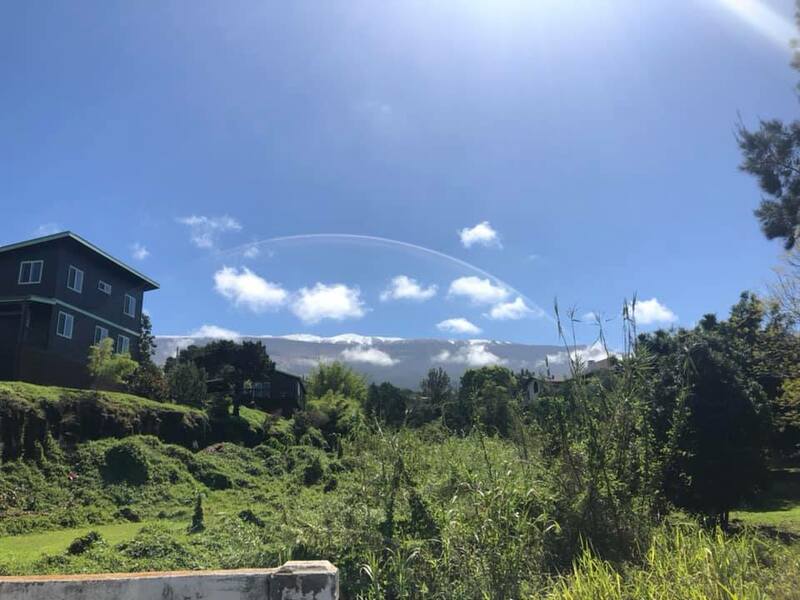 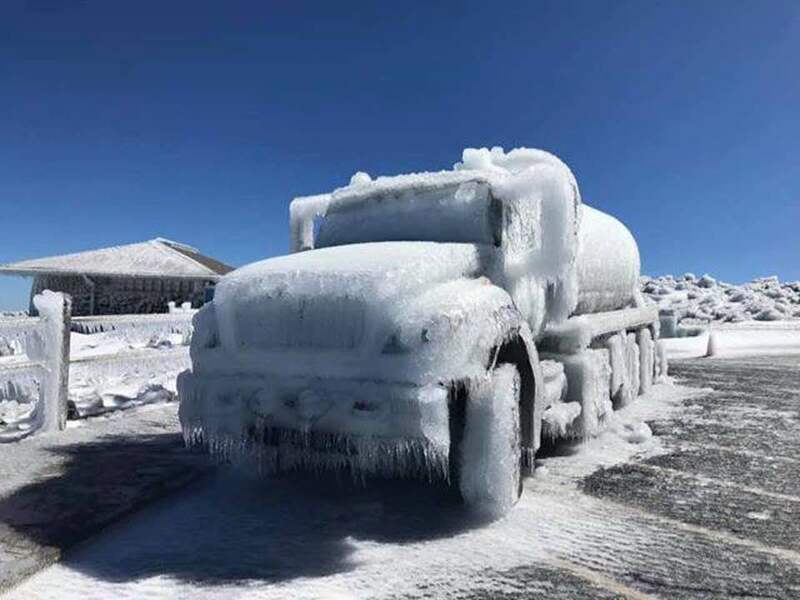 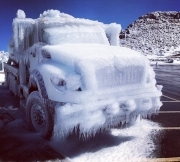 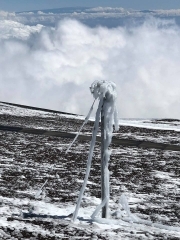 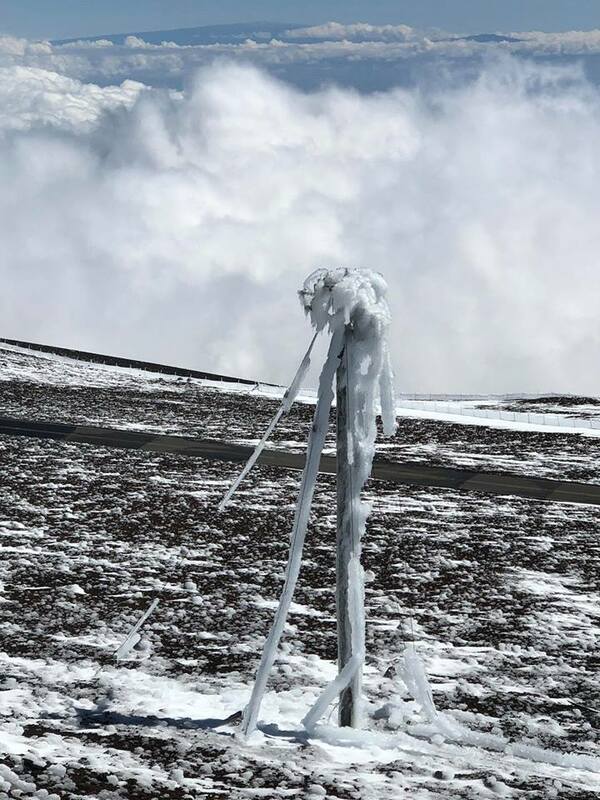 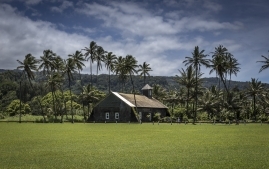 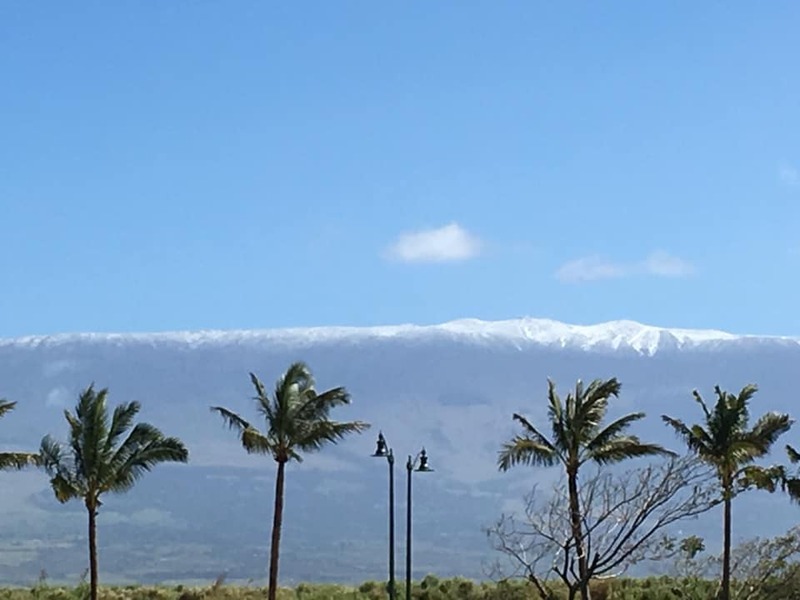 As a winter storm bore down on the Hawaiian islands early Monday [2/11/’19], officials warning residents of gusty winds, rain, high surf, and a rarer sight: snow. 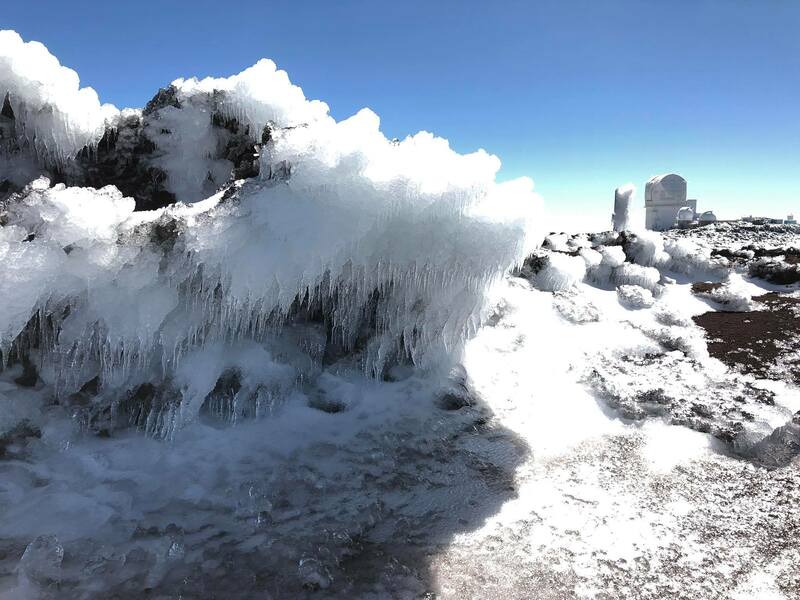 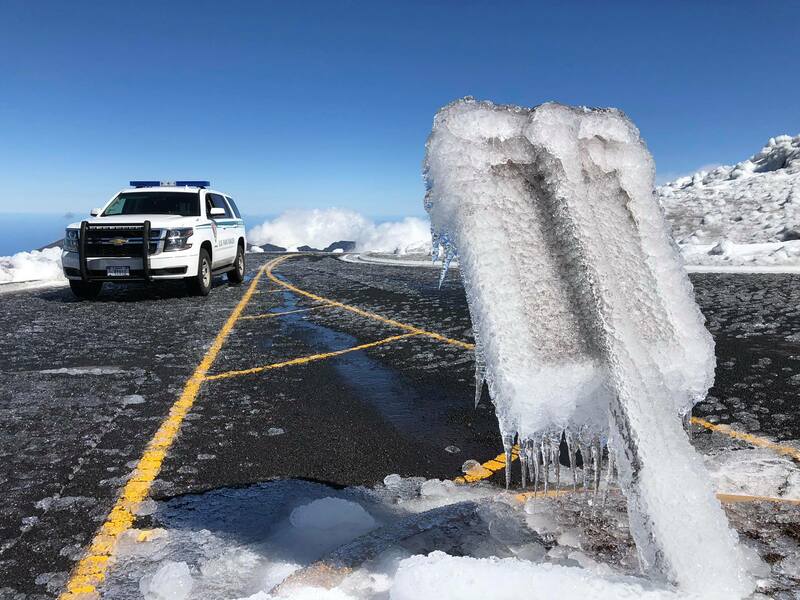 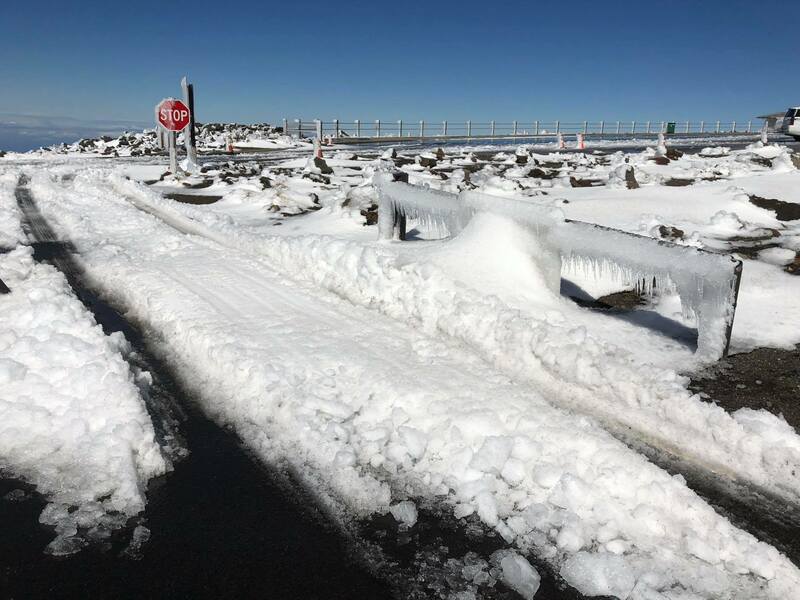 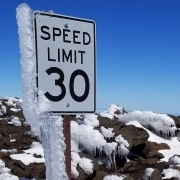 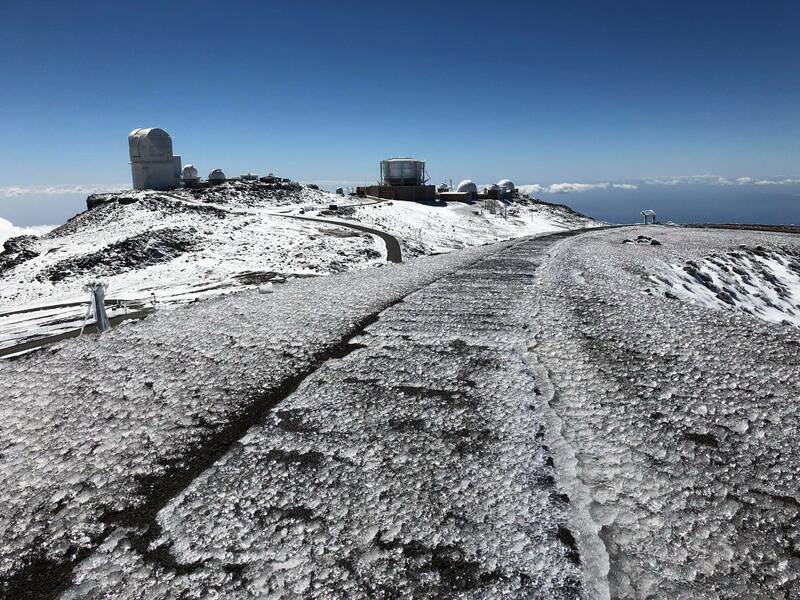 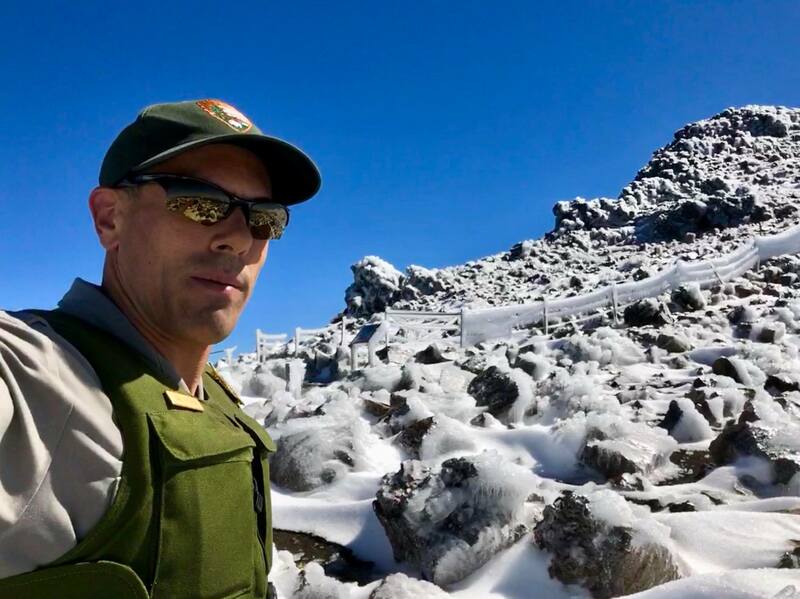 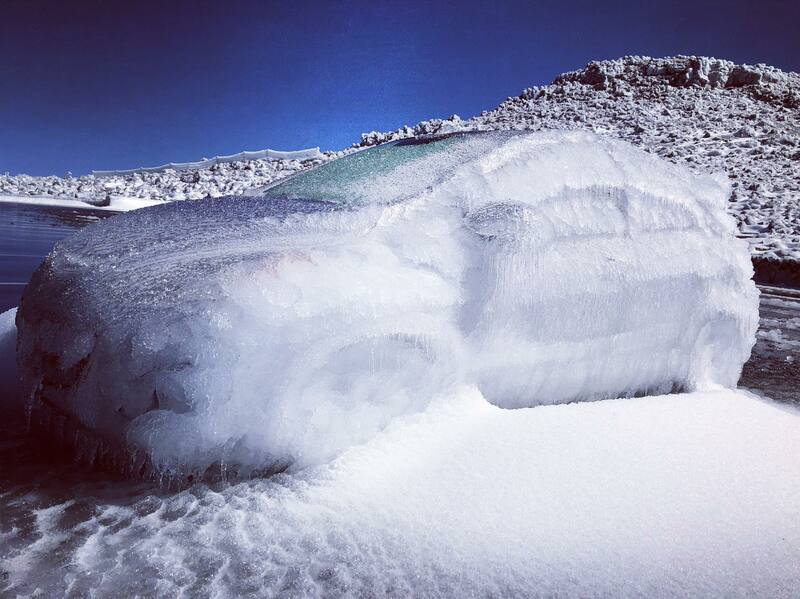 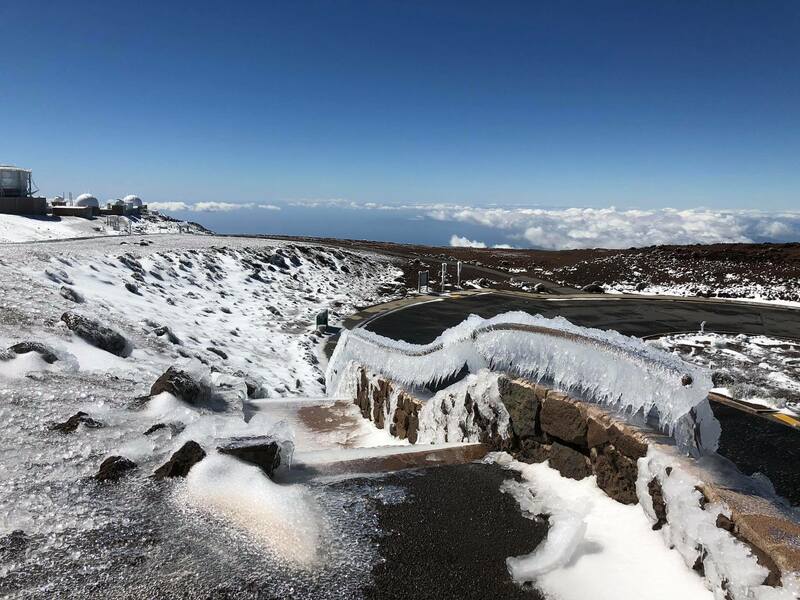 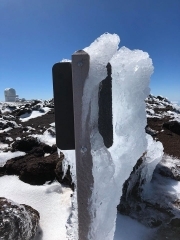 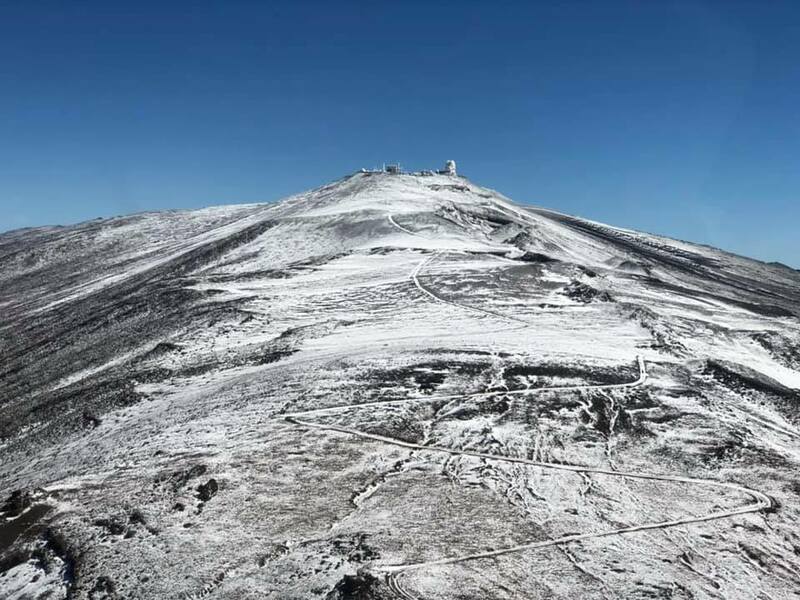 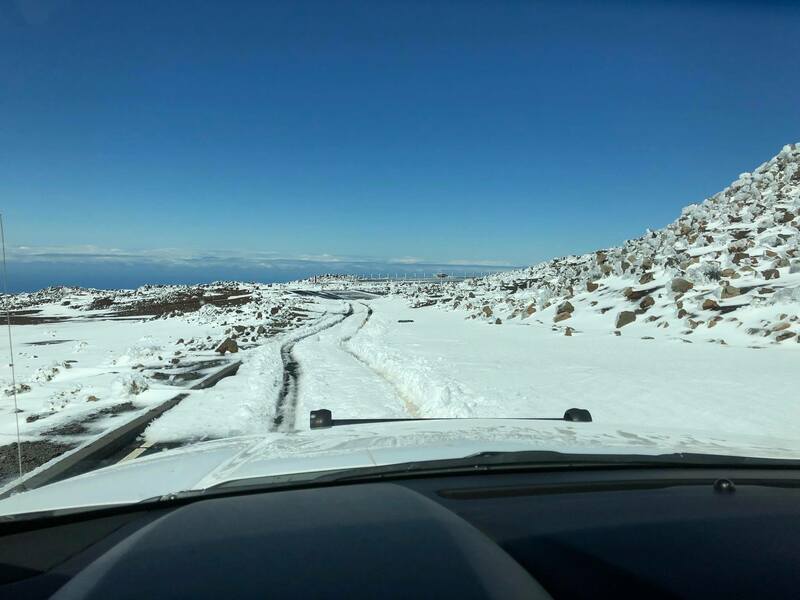 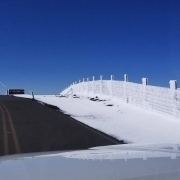 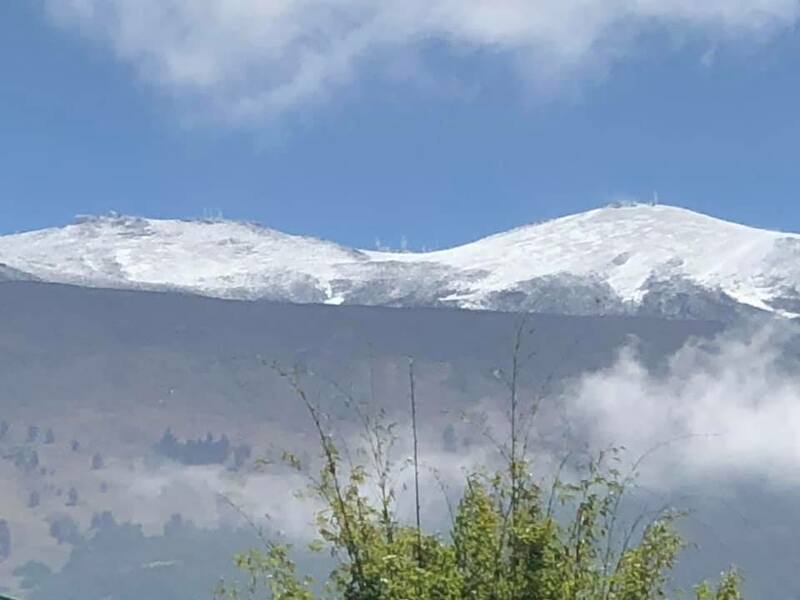 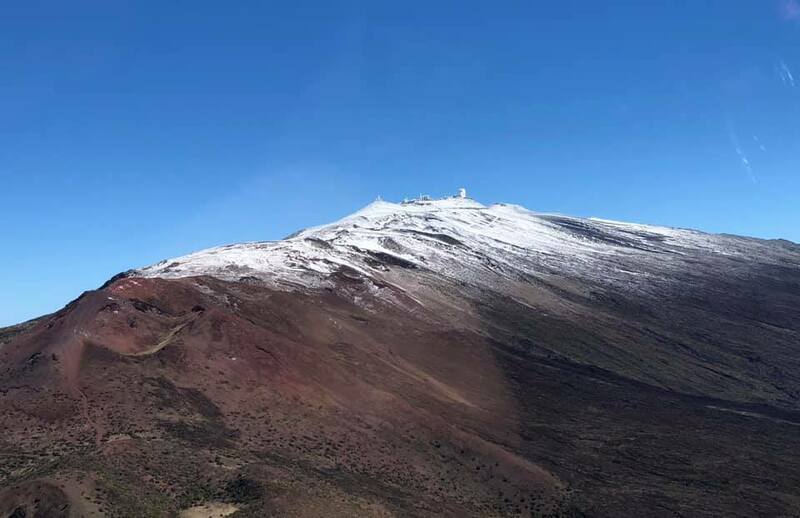 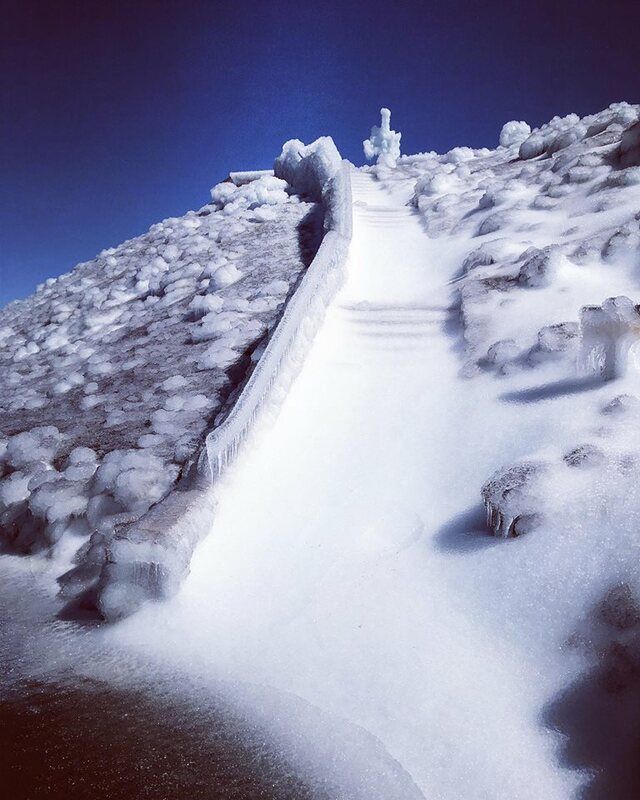 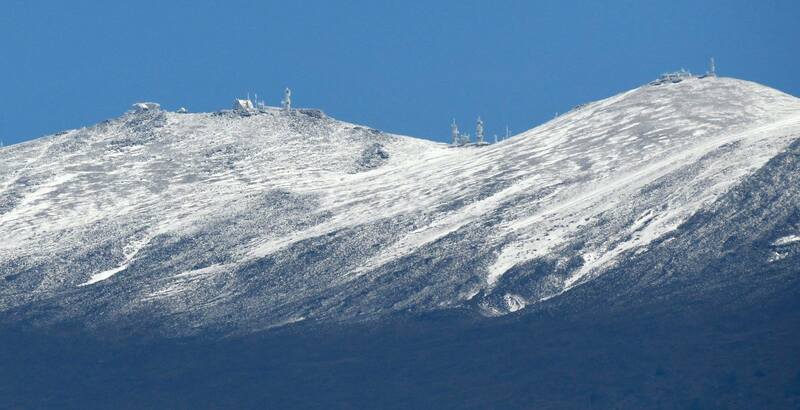 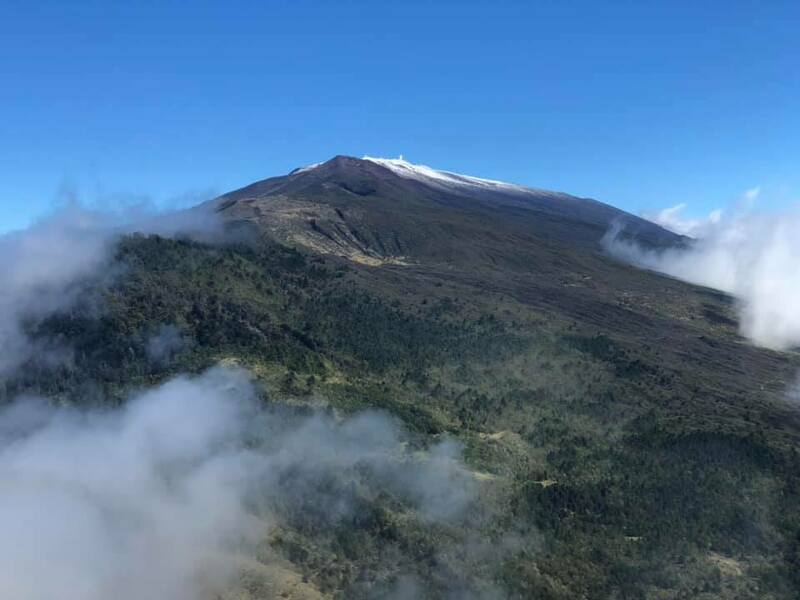 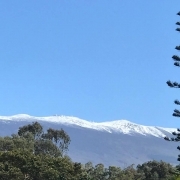 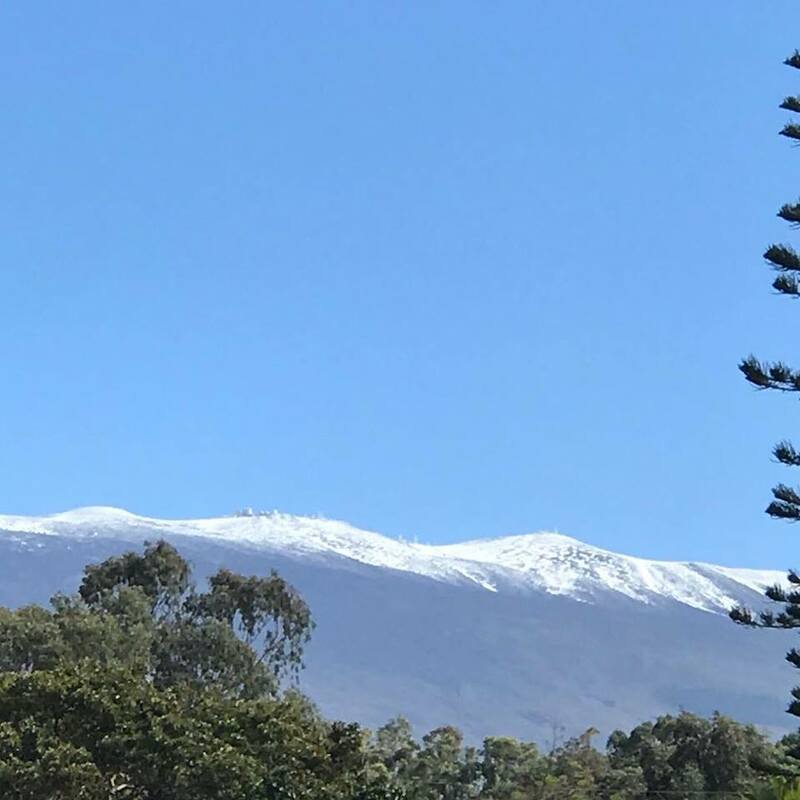 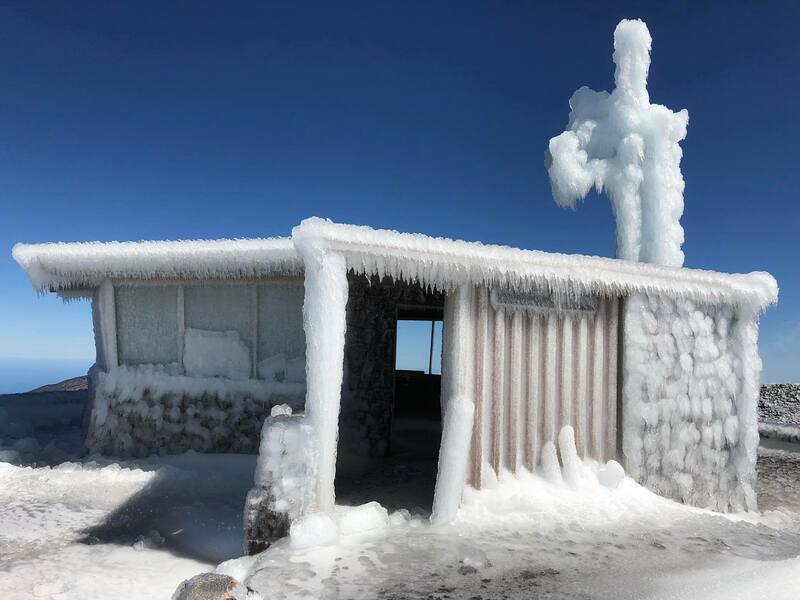 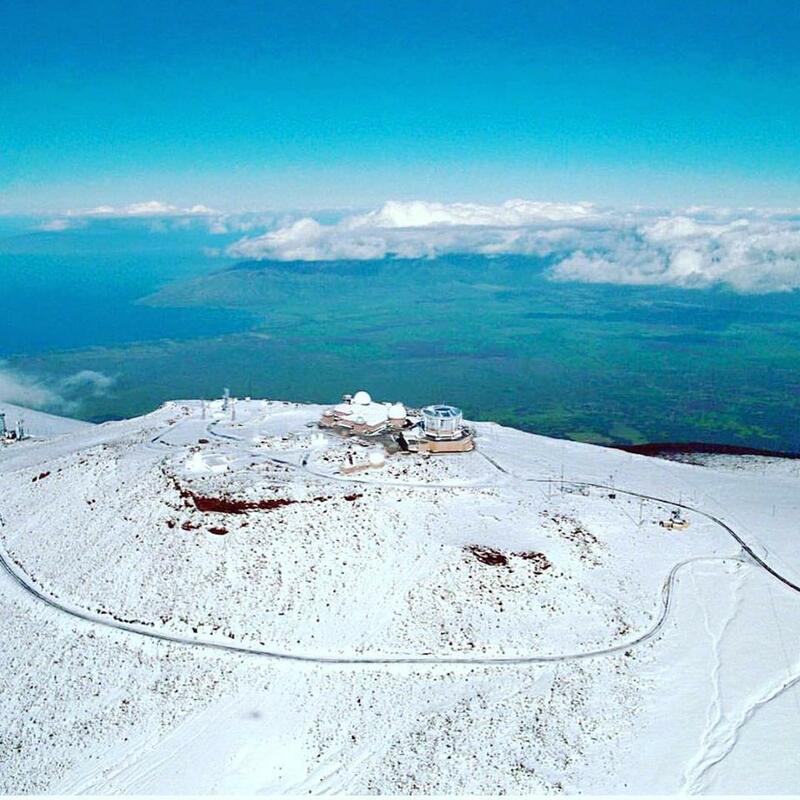 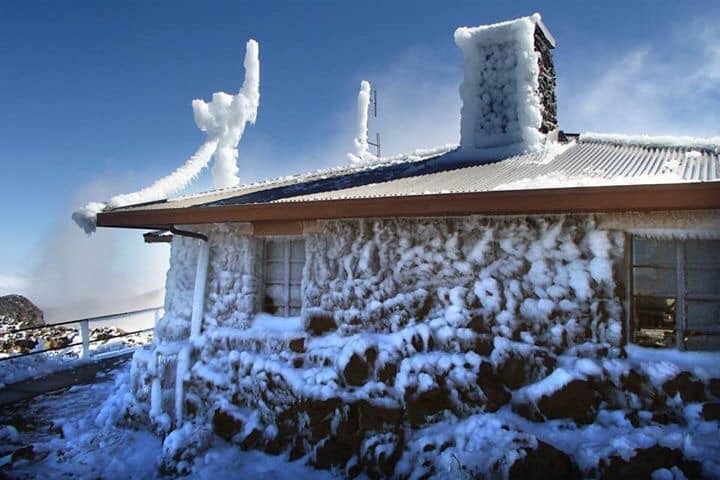 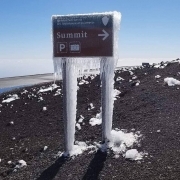 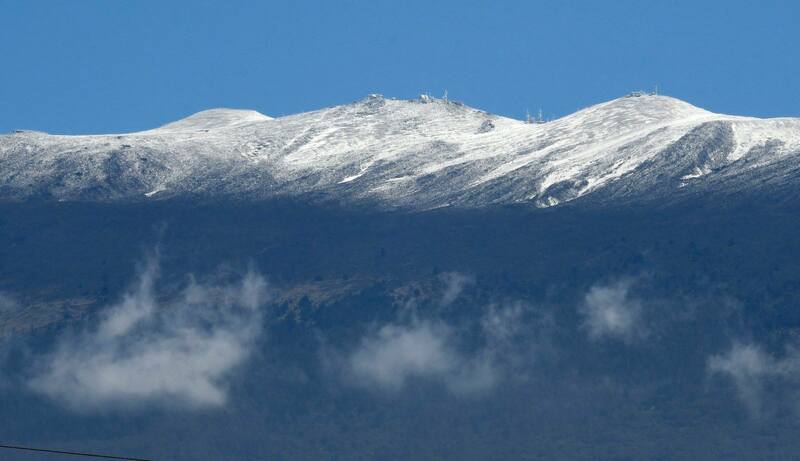 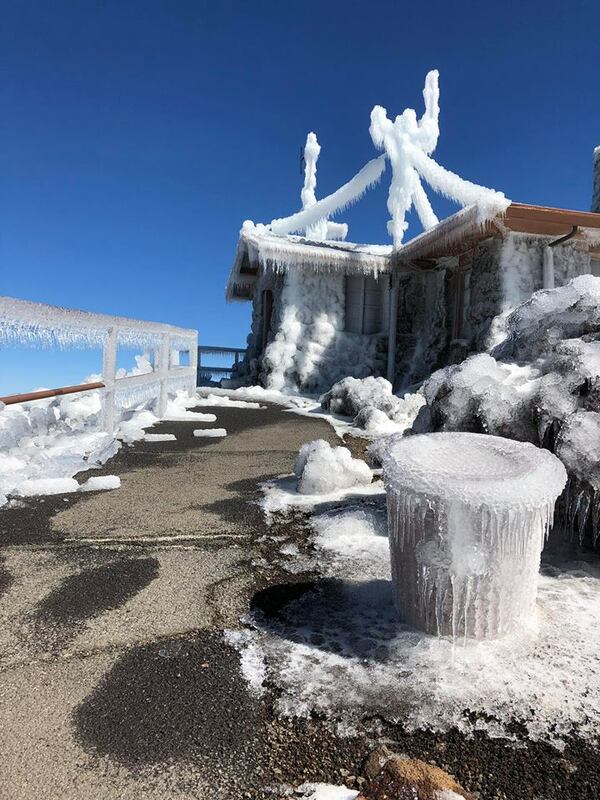 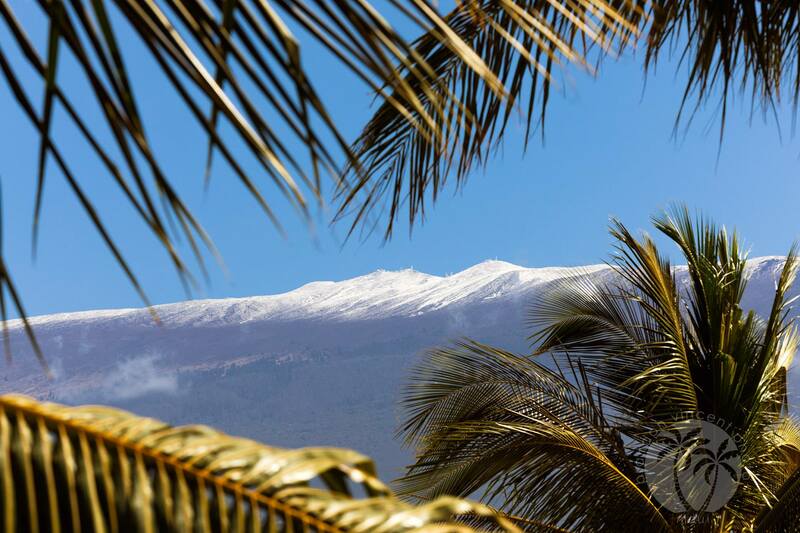 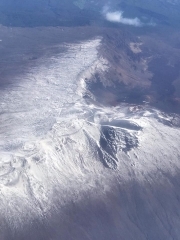 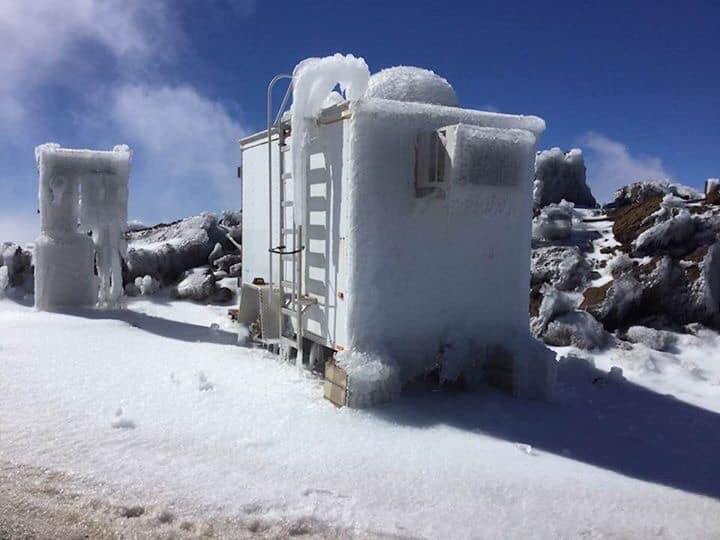 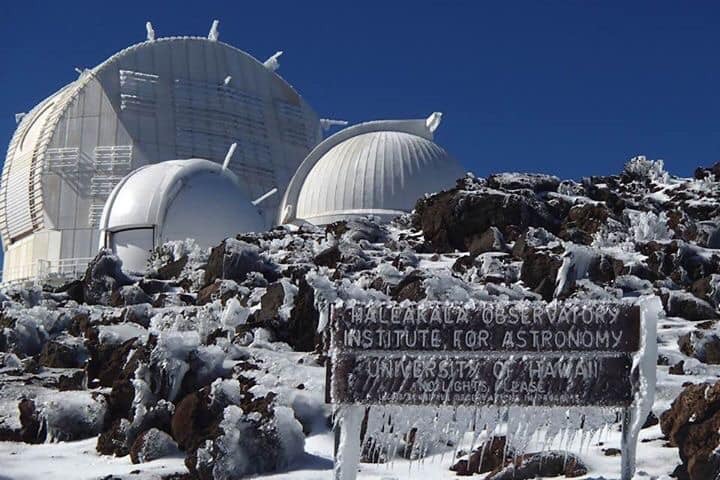 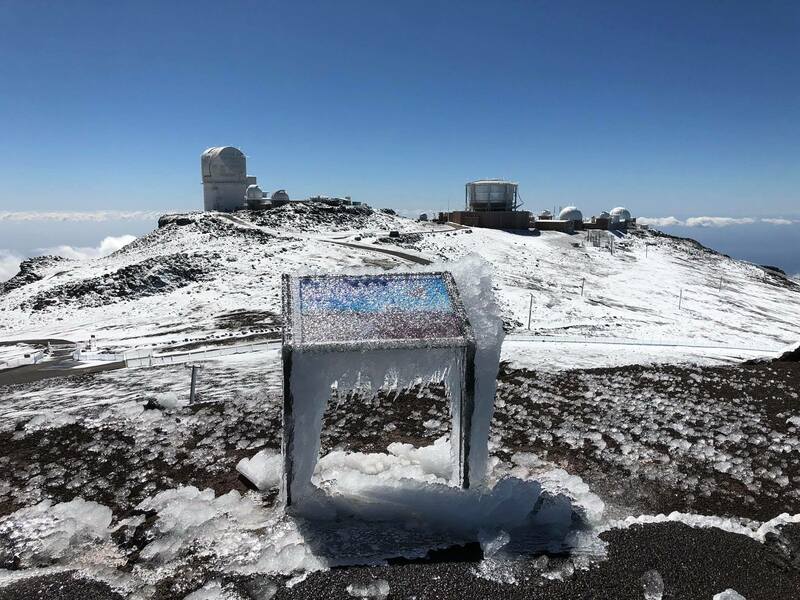 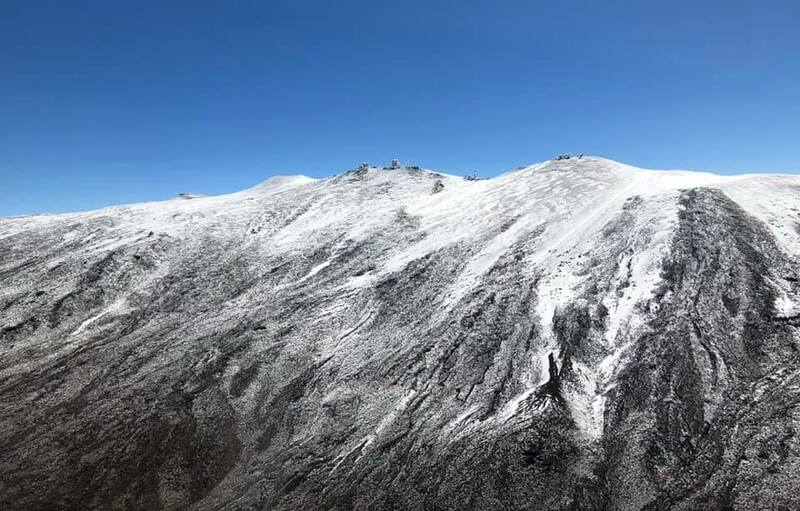 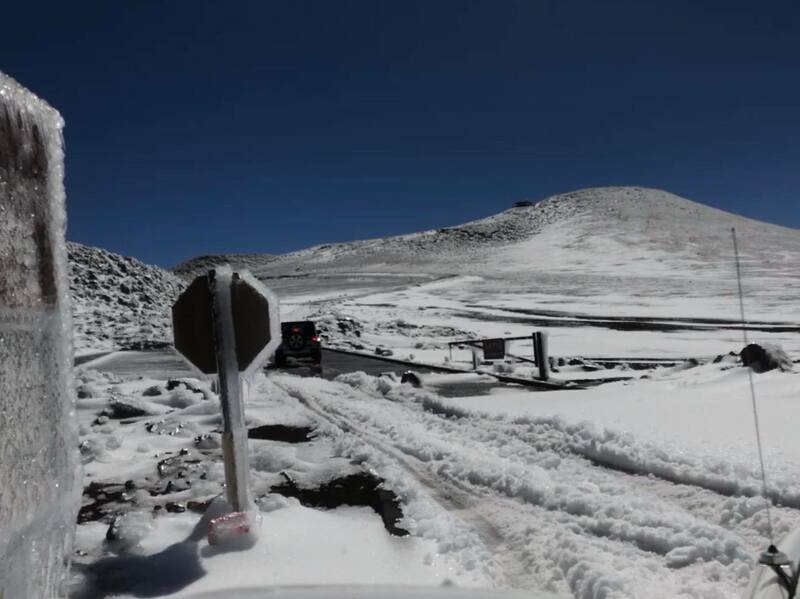 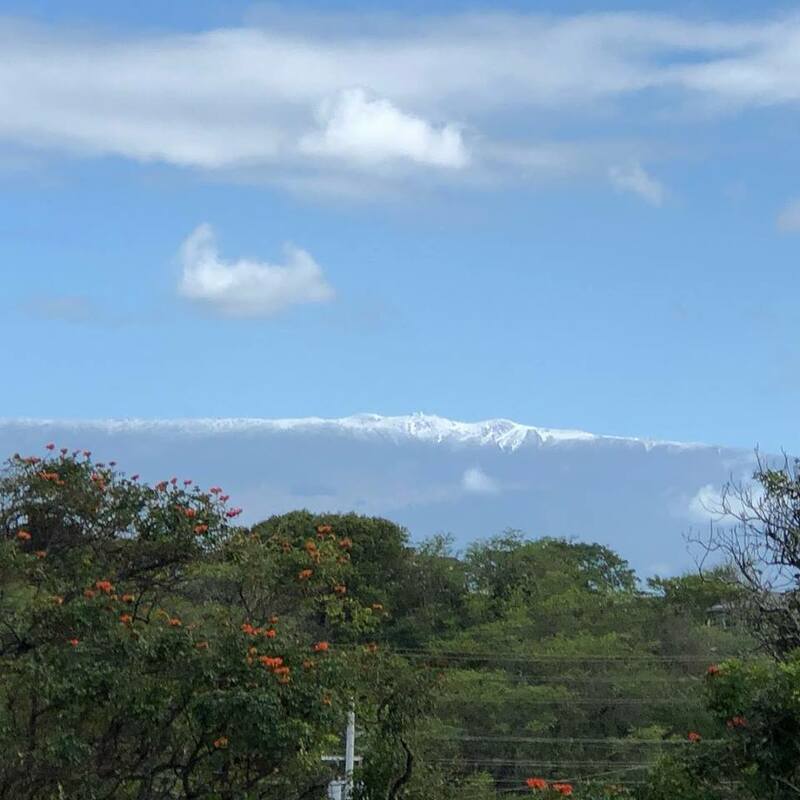 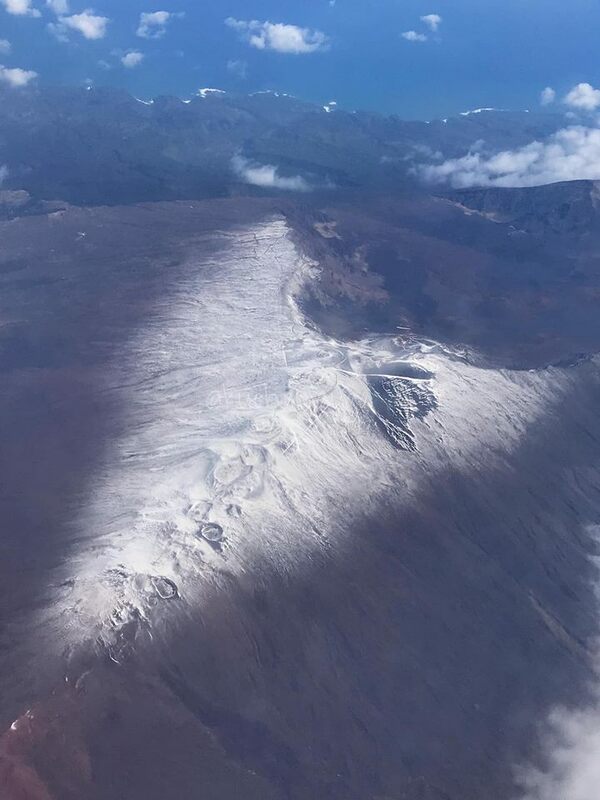 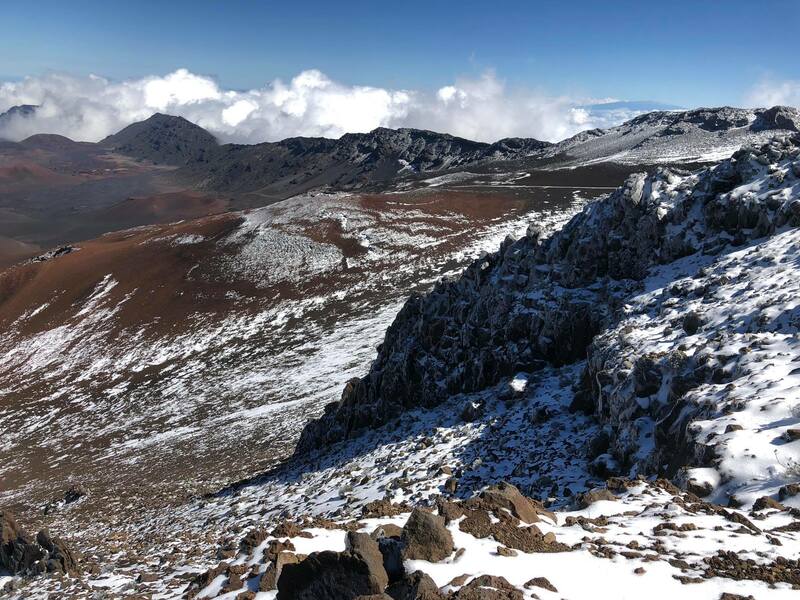 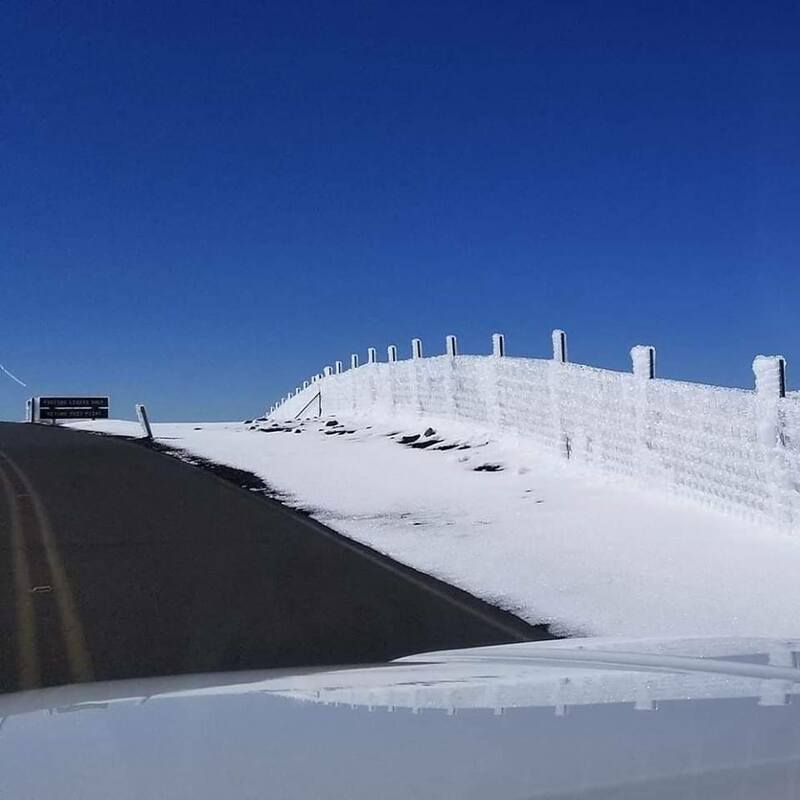 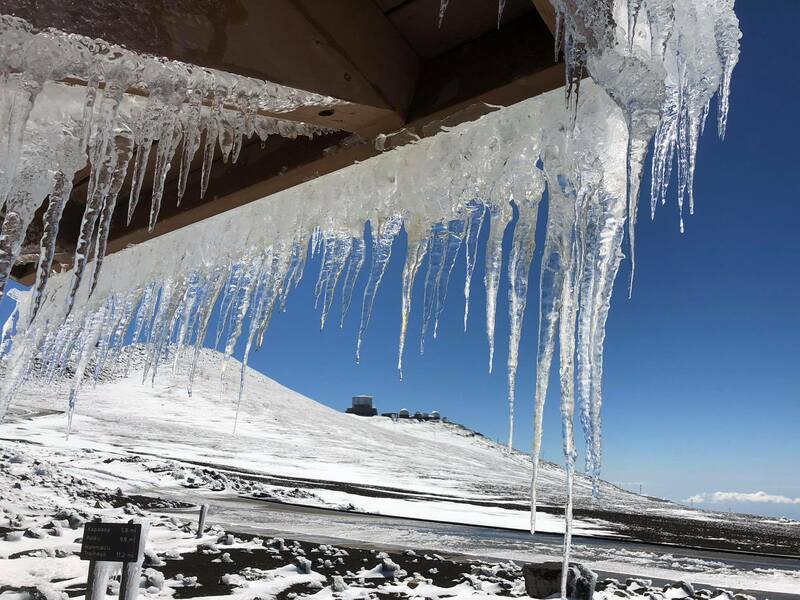 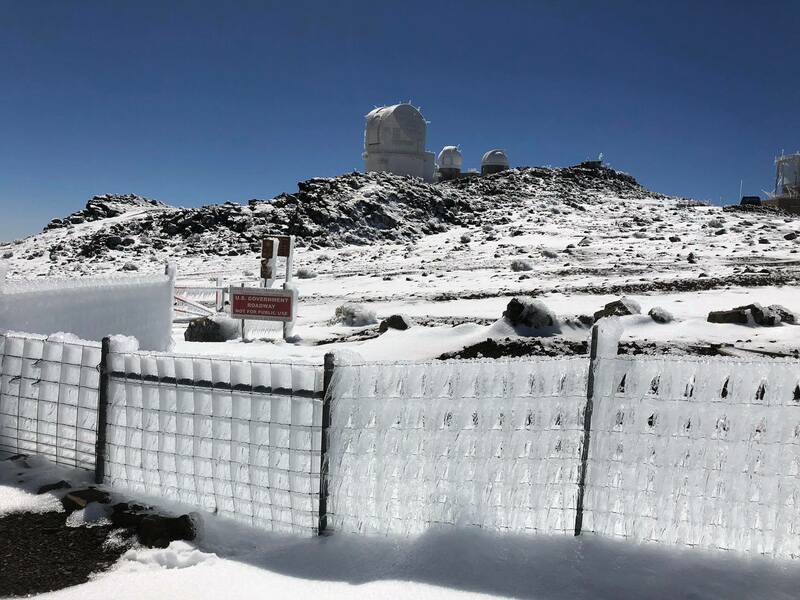 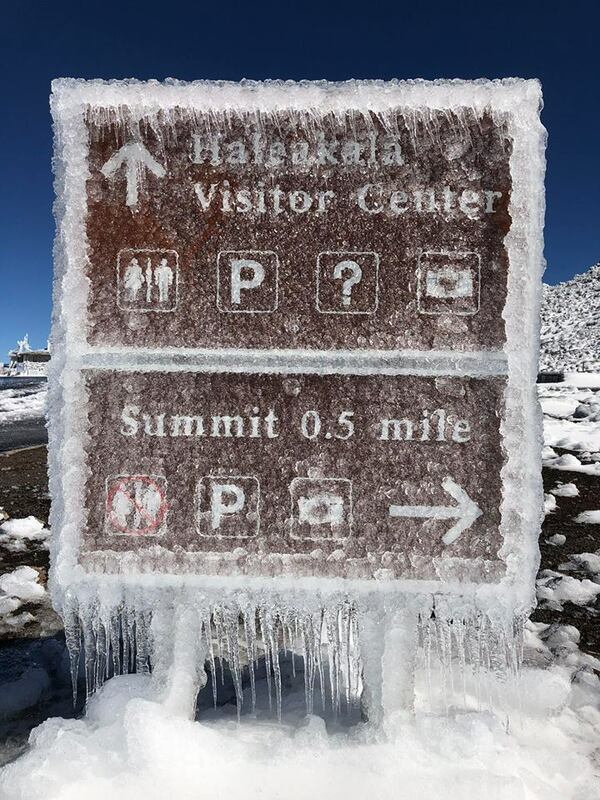 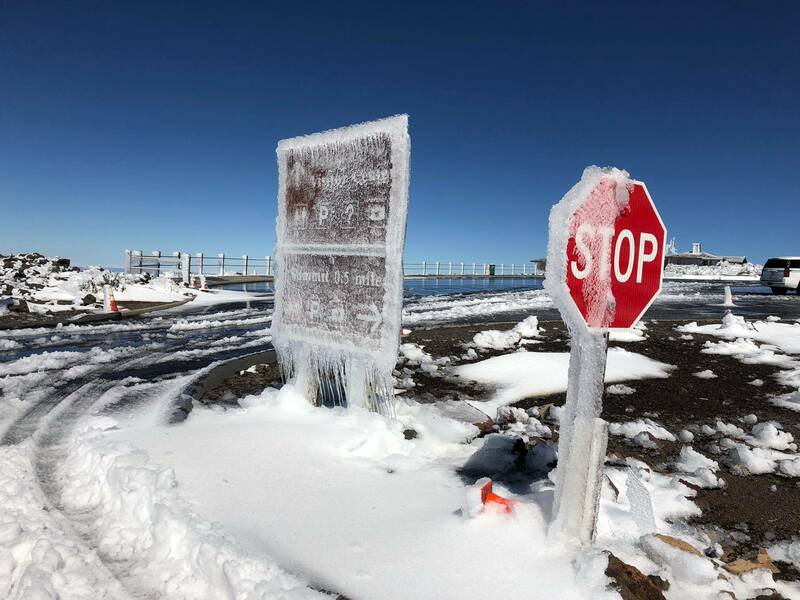 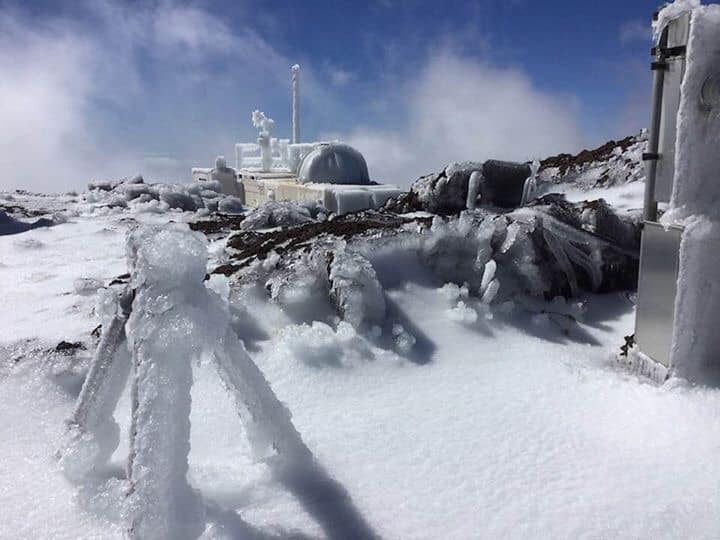 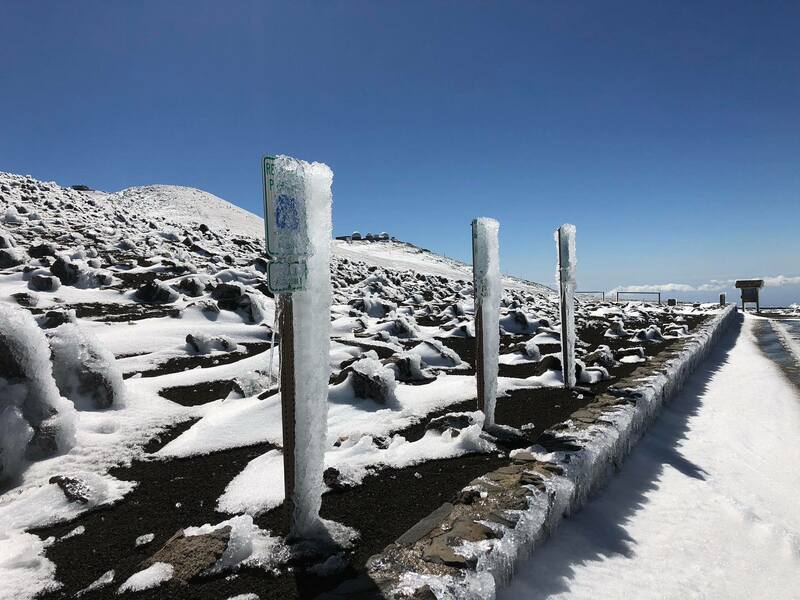 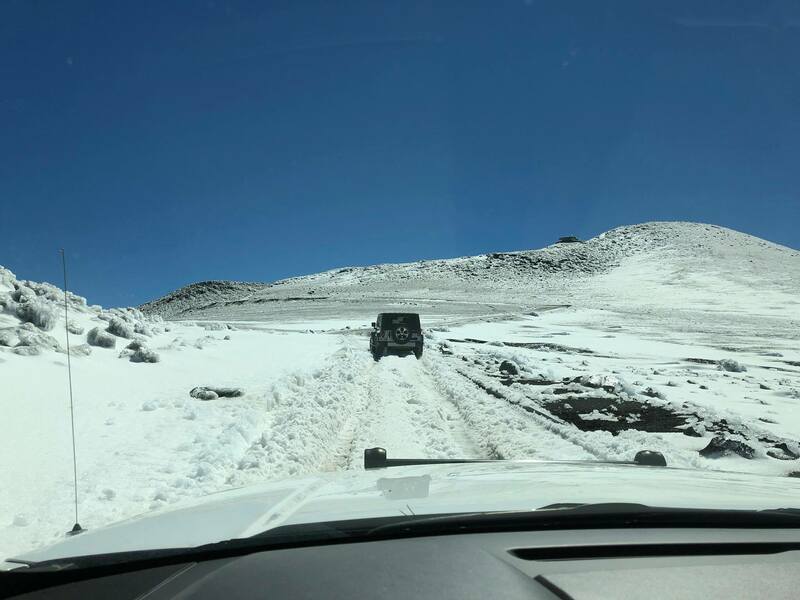 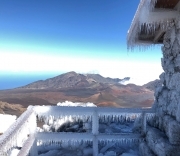 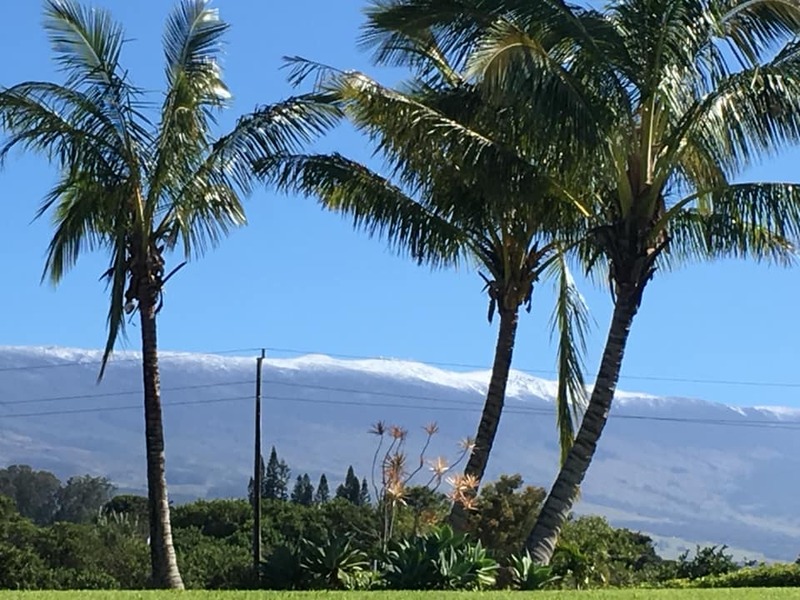 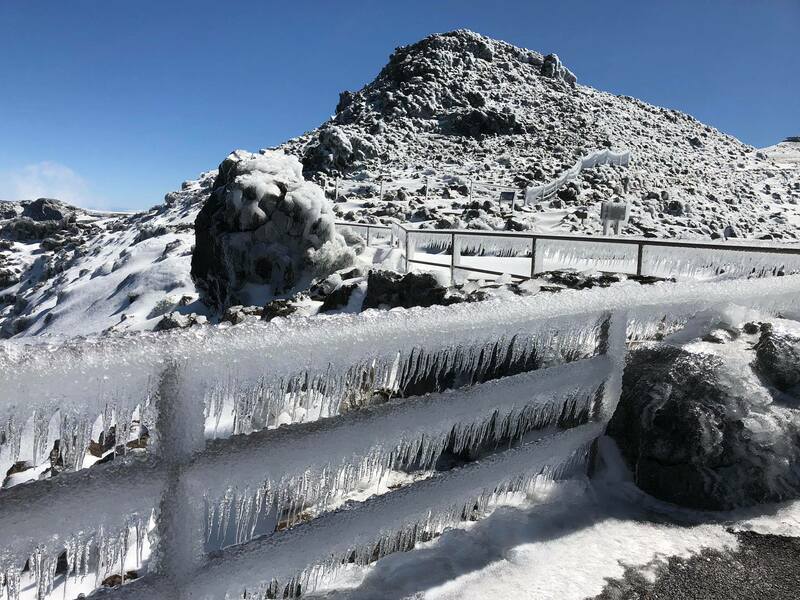 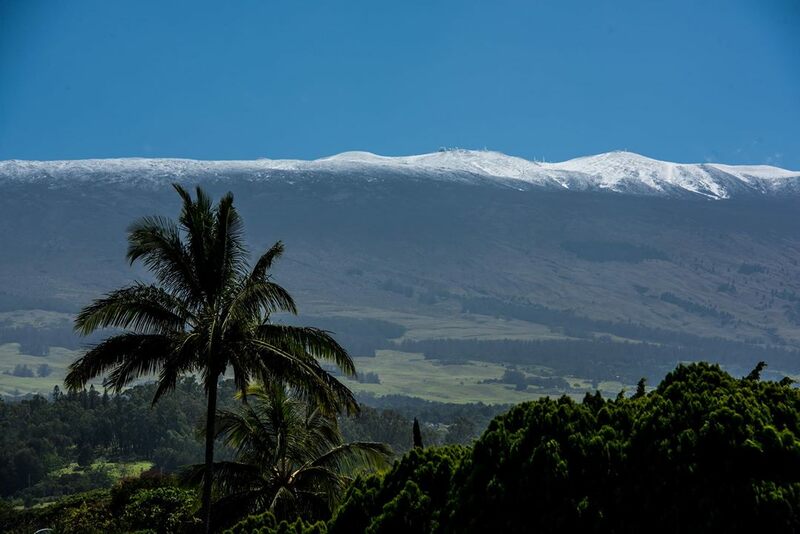 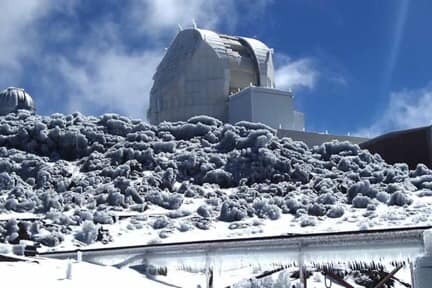 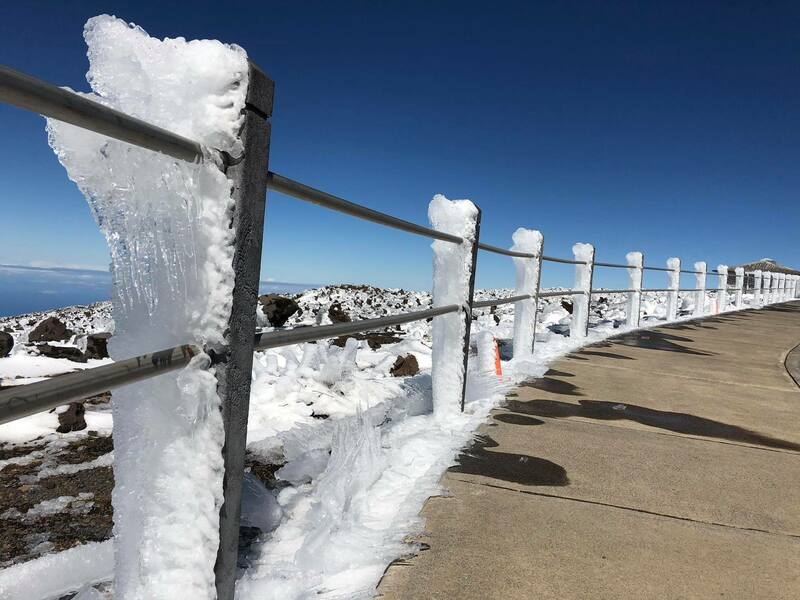 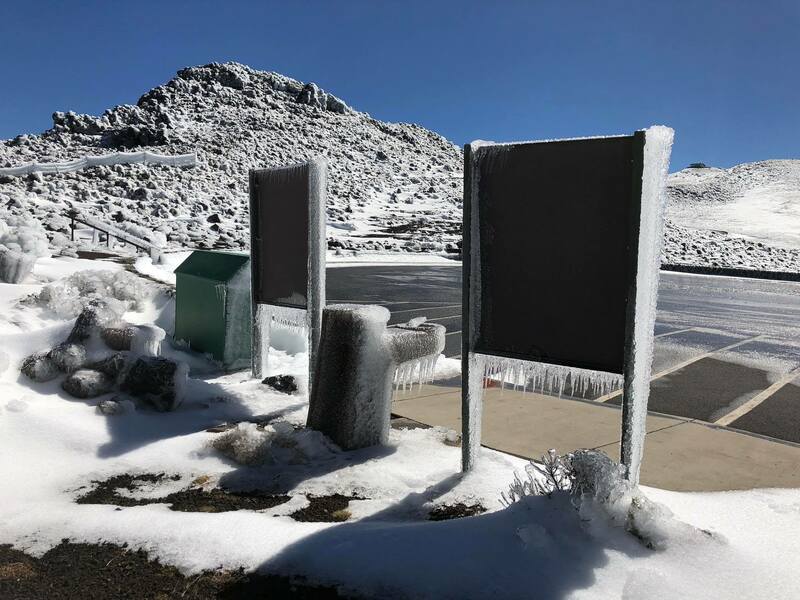 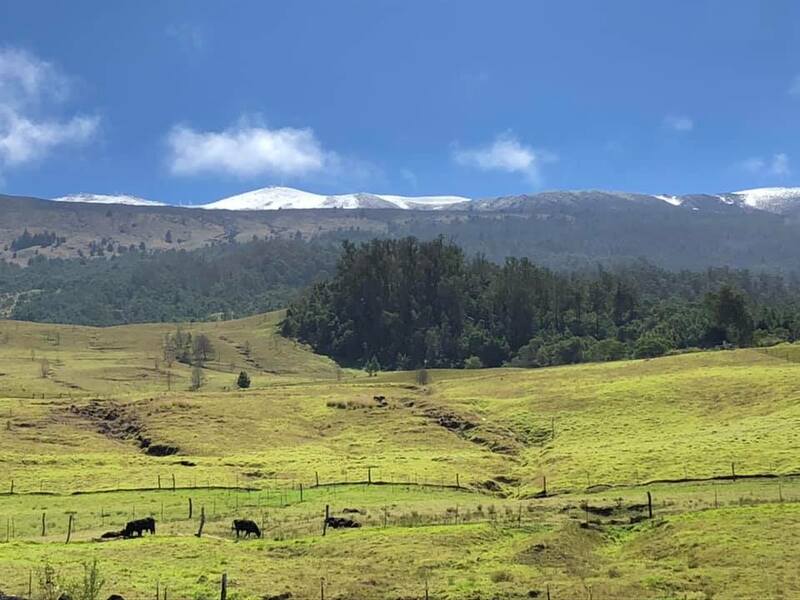 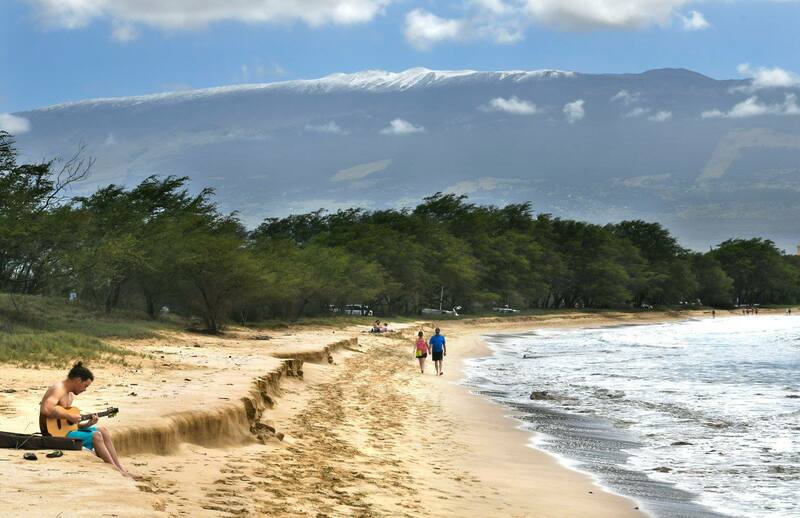 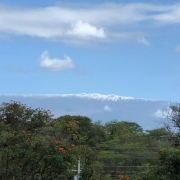 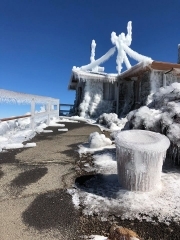 Hawaii’s Department of Land and Natural Resources (DLNR) Division of State Parks is reporting that “for perhaps the first time ever, snow has fallen in a Hawaii State Park.” “Polipoli State Park on Maui is blanketed with snow. 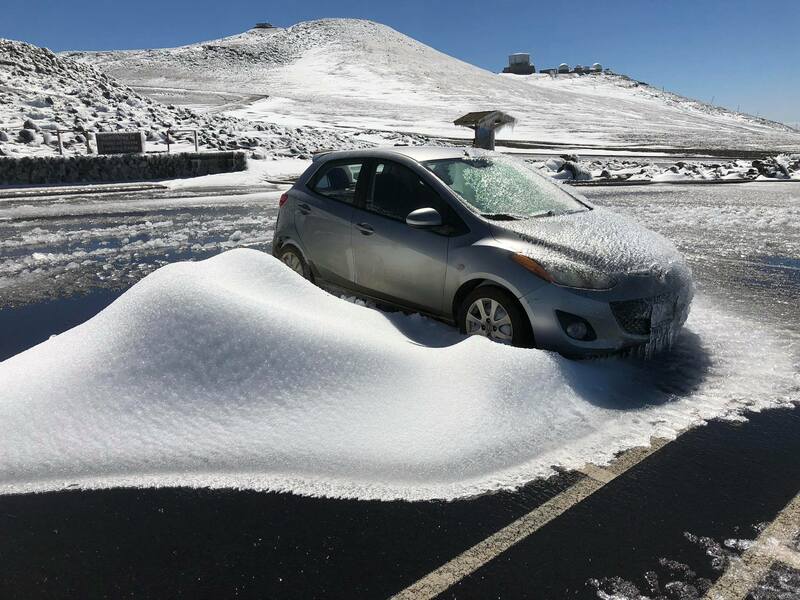 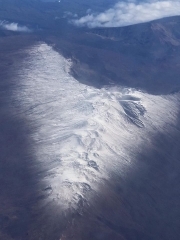 It could also be the lowest elevation snow ever recorded in the state. 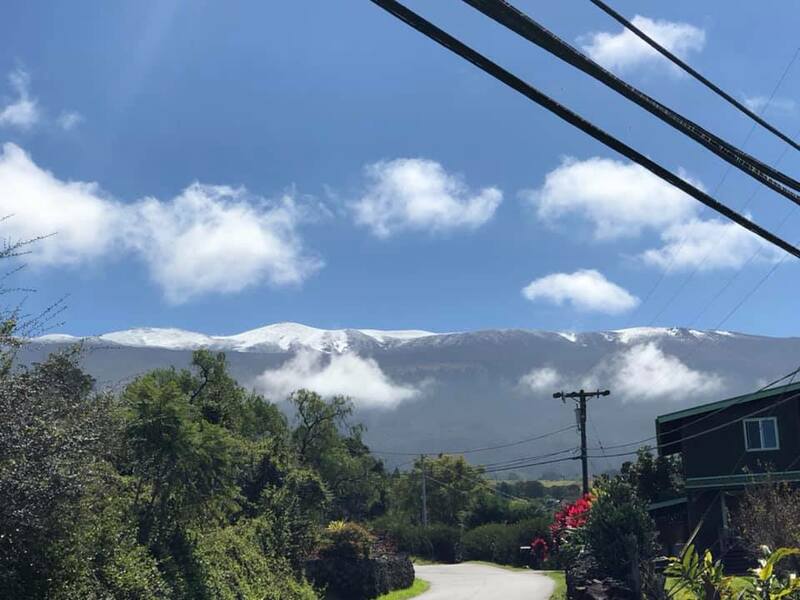 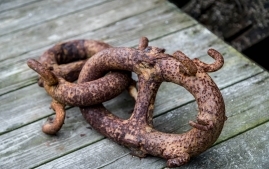 Polipoli is at 6200 feet elevation,” the DLNR said in a press release posted on their Facebook page. 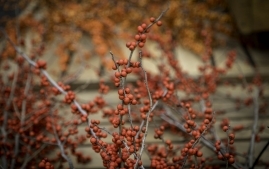 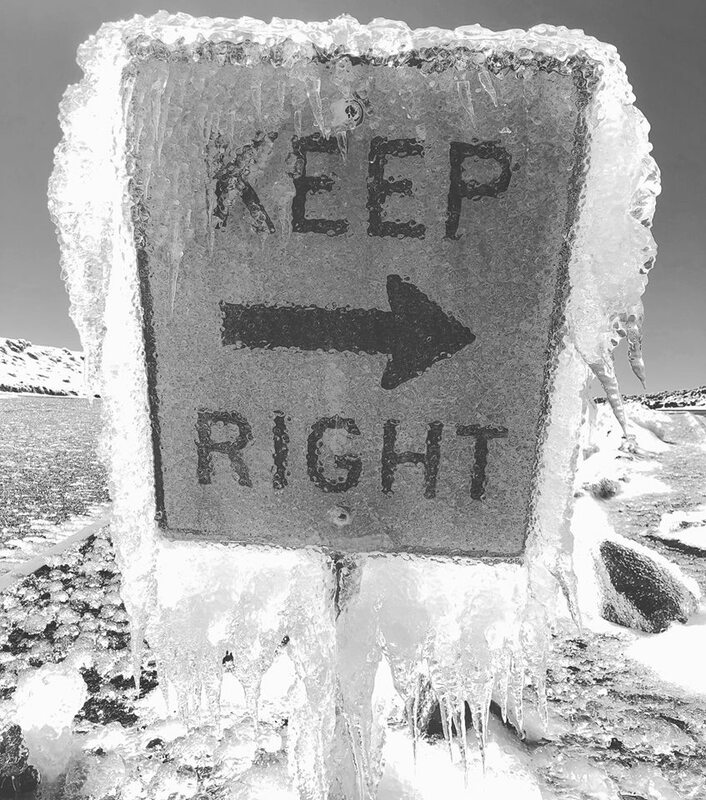 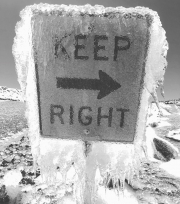 Click ’em to feel the chill….